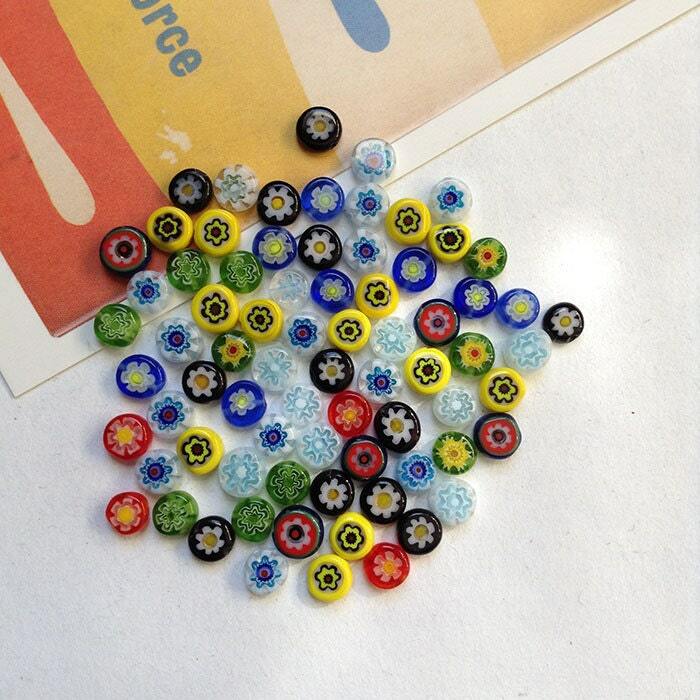 Colourful millefiori glass beads. 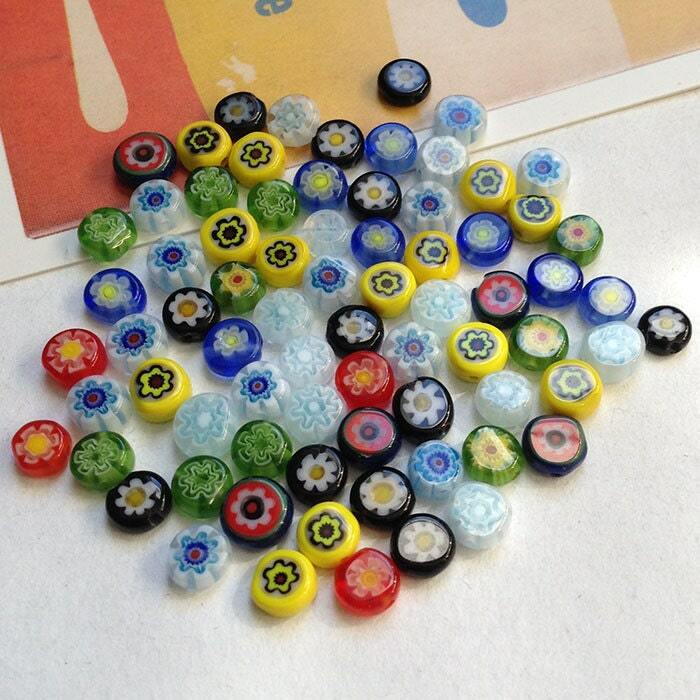 These are round, bright saucer beads. 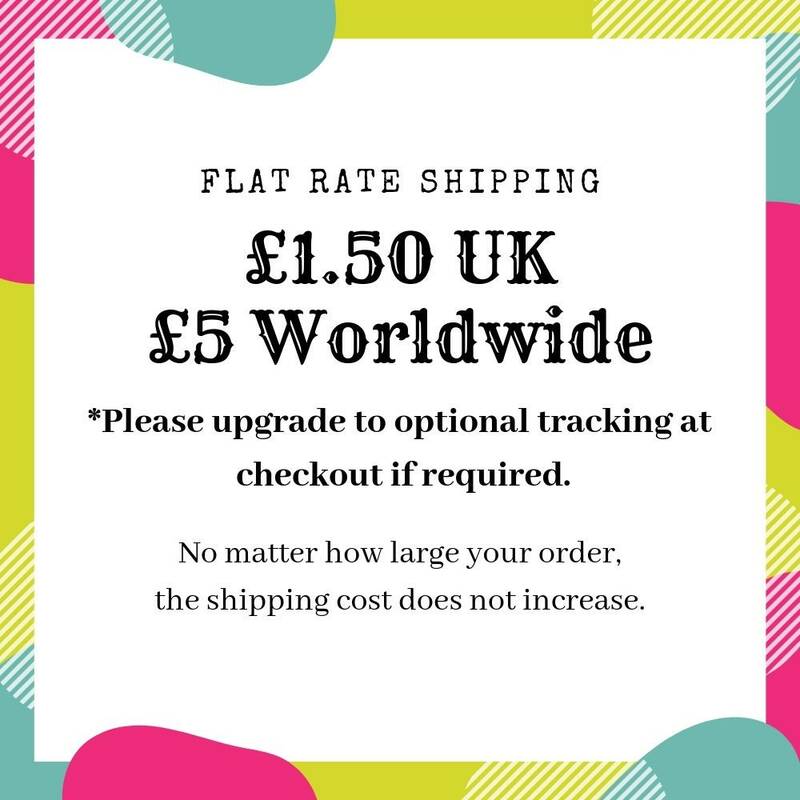 They measure approx. 6mm and 3mm thick. Handmade, so there may not be complete uniformity in size and shape. The 4th photo shows them next to 3 different coins for size reference; a US quarter, UK 5p and Euro 1 cent. 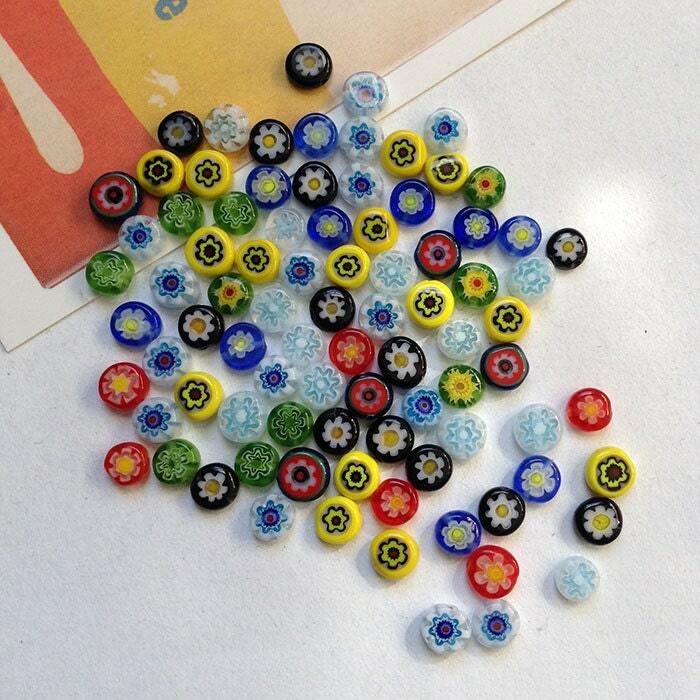 These beads look great used in Frida Kahlo / Mexican style jewellery and other bright, pretty pieces. 20 per lot with a discounted bulk lot of 100 available too.